As a provider of cosmetic dentistry in Vancouver, we get a lot of questions about different dental procedures — especially teeth whitening. “What are the benefits of teeth whitening?”, “Is it dangerous?”, “Why do I need it in the first place?” — are all questions we hear on a daily basis. We get it, you want sparkly white teeth, but it is also important to be well informed before you undergo any type of cosmetic dentistry procedure. 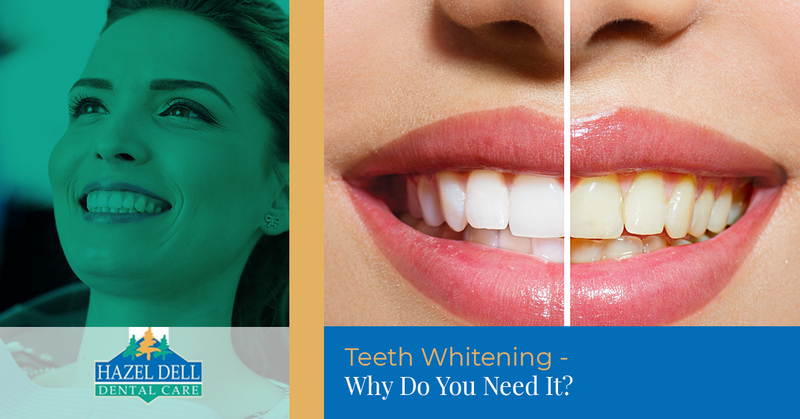 In today’s blog, we will be discussing a few of the reasons that you might find yourself needing teeth whitening, as well as a couple of the benefits that you might see from getting your teeth whitened with us at Hazel Dell Dental Care. Why Are your Teeth Yellowing? When most people come to us for teeth whitening, they assume that their teeth are becoming discolored because something is wrong with them. This is simply not the case. In fact, the yellowing of teeth is actually quite normal. 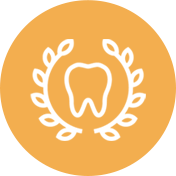 But what factors influence your tooth color, and the rate that it yellows? As we said above, tooth discoloration is a normal part of life. As you grow older, the thin white layers of enamel will become thinner, showing off the soft brown layer of your teeth below known as dentin. There are a ton of foods and drinks that can contribute to the yellowing of your teeth. Coffee, red wine, tea, and citruses are all some of the main culprits. These food and drinks, and others like them, contain chromogens, a color pigment that attaches itself to your white enamel. One of the lesser known causes of tooth discoloration is trauma. 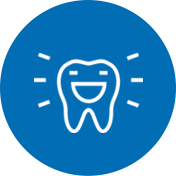 Getting hit in the tooth can cause your tooth to create more dentin, causing the tooth to darken! Medications are meant to get rid of things for the most part, but some medications like antipsychotics and antihistamines can actually cause your teeth to darken. Why? 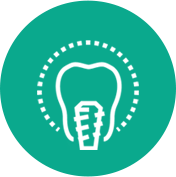 Certain medicines can affect teeth during development. So if your child was commonly on antibiotics as a child their teeth may darken. Teeth whitening is an extremely beneficial, and extremely common cosmetic dentistry procedure that we perform here at our Vancouver office. But what does it do besides whitening your teeth? Teeth whitening is not a response to a dental issue, instead, it is a response to an appearance issue. That is right! Whitening your teeth does not make you healthier! Instead, most people whiten their teeth to feel more confident! Having a set of pearly whites is an excellent confidence booster, in fact, many people do so before interviews, dates, weddings, and other important life events! Interested In Teeth Whitening? Come to Visit Us? Are you interested in getting your smile back to something that you are proud of? If so, don’t go online to search “cosmetic dentistry Vancouver”, just come to visit us at Hazel Dell Dental Care, your go-to cosmetic dentistry office here in Vancouver, Washington. Schedule an appointment with us today or stop by to schedule an appointment in person. Contact us today if you have any more questions about our cosmetic dentistry services!